Not surprised there’s only one comment on here… venturehacks censors comments. I know from previous experience. 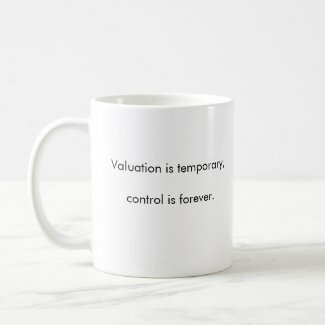 Regarding this post, I dashed off a quick comment about the high probability of getting screwed by VCs and car salesmen (actually you’ll probably get a better deal from the car salesman). If you need convincing to understand that just read any book on VCs, not by VCs. Or work in the industry, like I did. If you want a real clear explanation, quoted from the founder of one of Silicon Valley’s finest, just lets see if this comment gets deleted or not. If it does, you’ll never know it was deleted because you’ll never have seen it. If it doesn’t, which would surprise me, then I’ll post a great excerpt for you. Cheers. 1. Just like getting bank financing for a car, raise capital before you raise capital. Have some angel/seed money in *before* you talk to VCs. 2. “Drive It Off The Lot Price” = “What Percentage Of The Company Will I Have Once The Deal Closes and How Much Cash Do I Get”? This captures stuff like option pools, legal fees, etc. 3. Test Drive = Actually have some social time with your potential VC. If you wouldn’t want to have a drink or dinner with them, youl shouldn’t take their money. 4. Create Competition – But don’t call it an auction or a bidding (even though that’s actually what you’re trying to do). If you only have one potential investor, you don’t have a deal, you have desperation. 5. Go online – Just like watching this video is a good way to know the basics, read things like VentureHacks to learn more. [Yes, this is blatant pandering for a free coffee mug]. As promised, an excerpt from Founders at Work, which you can find on Amazon.com or any other online bookstore. I recommend this book to startup founders. You’ll be amazed at how you’re doing and thinking the same way as these guys and gals. If you not finding that, then it might be better for you to work for a startup rather than found one. Ok, now on to the excerpt. There a lot more in this interview and the rest of the book, but the bottom line is that there is a high probability you will get screwed by VCs… same as with a car salesman, which brings us back to the topic of this post and to my main point, which is that there’s pretty much no difference between VCs and car salesman. It’s you being exploited by asymmetrical information. Ok, maybe the car salesman is smarter, too 😉 Hehe! PS: I read Nivi’s “our approach to comments” link (above) and I think this comment meets the requirements. I’m trying to add some perspective that will be helpful to entrepreneurs, especially first-time ones. My background is venture debt and equity and now I myself am an entrepreneur and investor. These guys need raw, un-sugarcoated facts if they are going to have a fighting chance to negotiate a fair deal. Cheers again! IF I go for a round of VC money, I’m gonna have to remember this video. It’s a great way to remember all the tactics being used to ensure the entrepreneur is on the short end of the stick. Having said that, and being wary of VCs in general, I have talked to a *few* people who say they’ve had good experiences. Take note VCs: Reputation matters, and your brand is attached to it. And even desperate entrepreneurs won’t take money, if they know you’re going to screw them.